NEW! 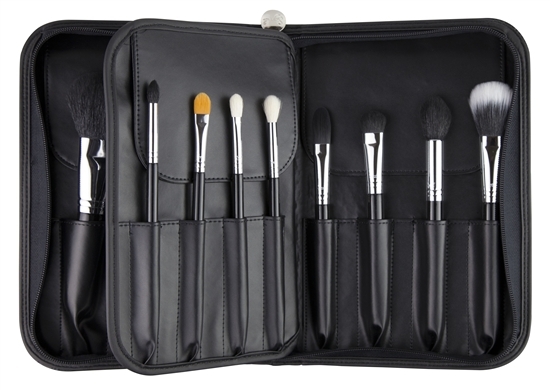 A deluxe carrying case for Sigma's best-selling brush kit + Discount Coupon Code! | Sahrish Adeel - Malaysia based Pakistani Beauty & Lifestyle Blogger! NEW! 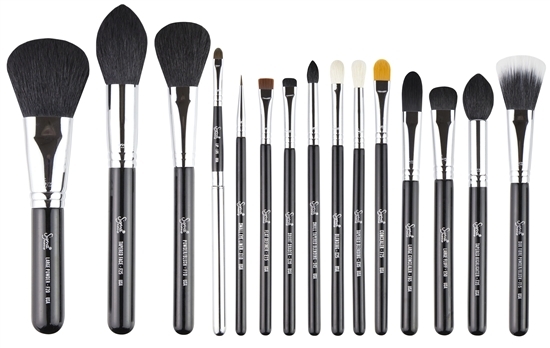 A deluxe carrying case for Sigma's best-selling brush kit + Discount Coupon Code! 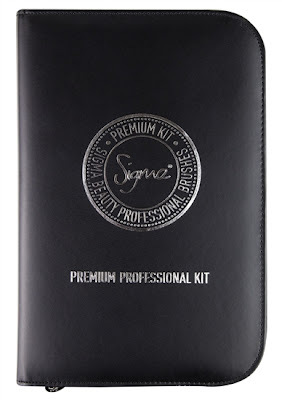 Introducing the NEW deluxe carrying case for Sigma's best-selling Premium Kit! Read the full post for more details and a 10% discount coupon code! 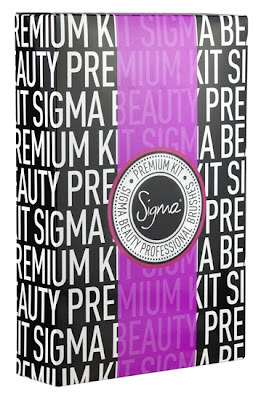 The Premium Professional Kit contains 15 unique brushes and nicely complements Sigma's Essential Brush Kit. It includes seven face brushes, seven eye brushes, and a lip brush. All brushes are stored in Sigma's signature Sigma Beauty brush roll, which is ideal to protect your Sigma Beauty brush collection. Best deal compared to individual brush purchase! Save $49! Lip - L05 Compact synthetic lip brush protected by a metal cap. Used for application of lip products such as lipstick, lip gloss, and lip balms. Small Eye Liner - E10 Delivers a precise fine-line along the lash line. The length and density of the bristles are ideal for creating artistic designs. Flat Definer - E15 Small, firm, and flat, this unique brush can be used to line the eyes for instant definition. Can be used with powder, liquid, or cream products. Short Shader - E20 Flat, short, slightly rounded and dense brush. Perfect for precisely applying colors on the lid and smudging along the lash line. Blending - E25 Oval-shaped brush with gently chiseled sides. Blends and softens the look of powder or cream shadows. Ideal to apply eye shadow primer, base eye shadow colors, and blend harsh lines. Tapered Blending - E35 Fluffy, long-bristled brush with tapered tip. Ideally used to apply and blend color to the crease area and to soften harsh edges. Small Tapered Blending - E45 Small domed brush with highly tapered tip. Versatile, this brush can be used to precisely apply and blend intense colors to the crease area. Large Fluff - E50 Versatile fluff brush. Ideal for applying and blending powder products on the eyes and face. Can be used for applying single shades all over the lid, highlighting cheek bones, and for contouring. Powder/Blush - F10 Medium round brush with soft and natural bristles. Ideal for precise blush application. Duo Fibre Powder/Blush - F15 Medium size tapered duo fibre brush. Widely disperses highly pigmented or mineralized powders. Generates a natural look during blush and highlighter application. Large Powder - F20 Large paddle-shaped brush with fluffy and rounded tip. Suitable for application of powder products on face or body. Natural fiber bristles. Tapered Face - F25 Large domed brush with tapered tip. Ideal for application and blending of powder products, blush, and highlighter. Tapered Highlighter - F35 Tapered cheek highlighter. Delicately rolls powder under eyes. The precise tip in this brush enhances cheek highlighting and contouring. Large Concealer - F65 Large synthetic concealer brush. Can be used to apply cream-based products to large areas. Also ideal for application of liquid or cream blushes. Concealer - F75 Small synthetic concealer brush. Slightly pointed tip allows for perfect and precise application of cream products in small and defined areas. 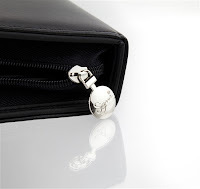 Click here to get the coupon code for 10% discount on your next purchase from Sigma.